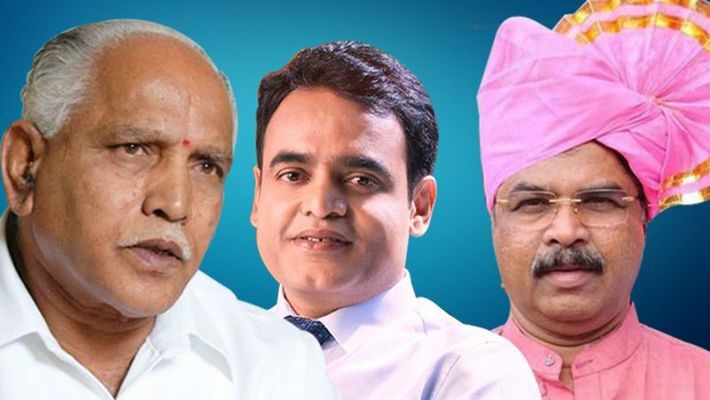 Bengaluru: The alleged differences between Karnataka BJP leaders R Ashoka and BS Yeddyurappa (BSY) has resulted in the former being sidelined in the ongoing Operation Lotus episode in the state. Former chief minister BSY and Ashoka have had differences in the past and also recently, over the denial of ticket for Assembly polls to BSY's son BY Vijendra in Old Mysuru region which sources said was due to Ashoka. This has made BSY sideline Ashoka and give the responsibility to CN Ashwath Narayana from Bengaluru for Operation Lotus or Operation Kamala. The Congress-JD(S) coalition government in Karnataka is in trouble over speculation of MLAs crossing over to the BJP. Already, two independent legislators have withdrawn their support. Narayana, a Vokkaliga, is an MBBS degree holder and has won from Malleshwaram for the three times. It is believed that after the formation of the BJP government in Karnataka, BSY had decided to make Narayana a minister. "R Ashoka was perceived as the undisputed king of BJP from Bengaluru as he was responsible for bringing the party to power in Bruhat Bengaluru Mahanagara Palike (BBMP) in 2010 by securing over 100 wards out of 198. Although the BJP looked united, the cold war between BSY and Ashoka continued. In the entire Operation Kamala series, giving importance to CN Ashwath Narayana is evident that the BJP is looking beyond Ashoka and is grooming another Vokkaliga leader,” a top BJP source said. As reported, a recent photograph of Narayana with Congress MLA Umesh Jadhav in a Mumbai hotel is evidence that he is getting a major push from the BJP.